Baud mode selector on the back of the display. 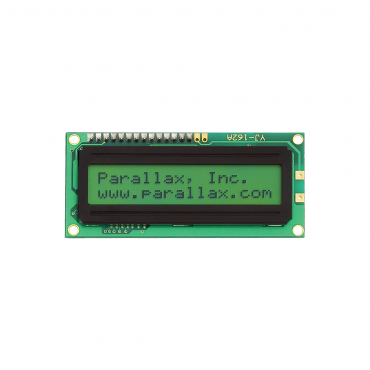 Professional-looking text and tone output on any microcontroller application. 2 rows x 16 characters. Power requirements: +5 VDC, 20 mA. Dimensions: 1.42 x 3.15 in (36 x 80 mm).